We all want our Denver homes to be a positive reflection of ourselves when guests drop by to visit. It can be easy to get wrapped up in wanting to display the perfect home, but in reality, there is no such thing. If you just put your efforts into doing the small things that make a home feel warm and welcoming, like investing in a carpet cleaning, buying fresh flowers and sprucing up your yard, you’re sure to find that your visitors will want to keep coming back time and again. Disagreeable smells are a big turnoff, and it’s usually one of the first things a person will notice about a home. Having your carpets professionally cleaned once or twice a year will help to keep lingering odors from pets, cooking, etc. at bay and maintain a sense of freshness that your guests will appreciate. 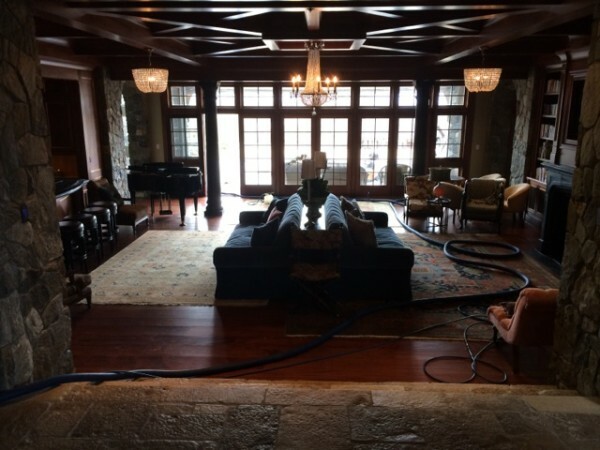 In addition, a deep carpet cleaning will eliminate dirt, stains and allergens that make for an unpleasant atmosphere when allowed to build up. You first want to make sure you have plenty of seating for everyone that you plan to have over, and then keep in mind as you arrange your furniture that a more intimate setting evokes comfort and is better for encouraging communication. Furniture that is placed far apart doesn’t make for a cozy environment and can feel quite awkward when trying to have a good conversation or even just find somewhere close enough to set down a drink. Fresh flowers are a natural way to automatically put a smile on someone’s face. The mere sight and smell of them can uplift all the spirits in the room. Keeping bouquets around the house along with various houseplants, which positively affect the quality of your indoor air as well, are a great and inexpensive way to increase the healthiness and happiness of a home. The front yard is the first thing about your property a visitor will see. If the outside is a mess, you can only imagine what they’ll already perceive the inside to look like. When you really want to make a good impression, it all begins with the exterior of your home. Make sure your lawn is mowed, bushes are trimmed, toys and other miscellaneous items are picked up and consider pressure washing the walkway and siding. Decorating with old family heirlooms, photos and things that really say a lot about your personality and style are always a warming site for guests to see. Keep in mind that your visitors want to get a real taste of the place where you and your family live far more than they want to see the latest interior design trends. If you love entertaining and want your houseguests to feel cozy and truly welcome, make certain your home is visually appealing and fresh smelling all the time. Getting regular Denver carpet cleanings and taking special care with your decorating is sure to make a big difference.